The first objective of this manual is to provide Venture Philanthropy/Social Investment practitioners with an important tool to assist them in their daily activities and thus enhance the effectiveness of their work. The second objective is to increase the transparency and accountability of the Venture Philanthropy/Social Investment sector. 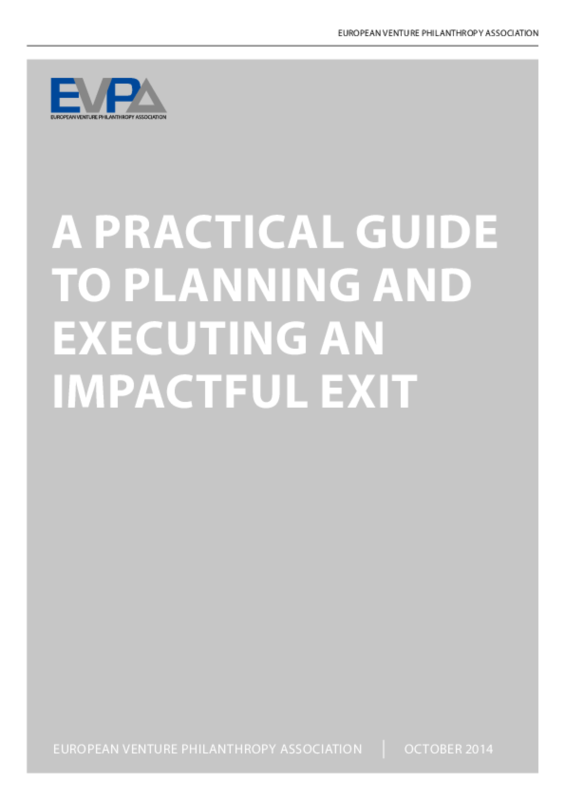 This manual should be useful for both experienced Venture Philanthropy Organisations that want to reflect on how to exit their investments while maximising and sustaining the impact achieved, and for organisations approaching VP, which can learn from the experience of VP/SI practitioners. Copyright 2014 European Venture Philanthropy Association (EVPA).